A sneak peek of the big ole belly and all it's glory from my maternity shoot this weekend with Hat Creek Photography! 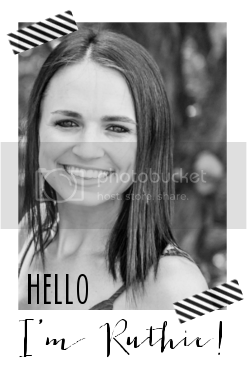 And today I am so excited I could cry (...okay I already have)... baby Hart is full term! After the roller coaster of a pregnancy I've had and our scare in April, I am thrilled to have kept him growing for this long. We have a weekly checkup this afternoon and really looking forward to seeing if we've made any progress. Ours included date night (you have got to see The Heat! ), pool time, some darn good nesting, and of course... games. That loading picture is HYSTERICAL! Definitely pack the Yahtzee. My husband and I played cribbage during my first two labors. ah I love that picture. excellent idea! That first picture!!! So creative!! LOVE that photo!! so creative! and yay for 37 weeks!! so exciting!! Look at that belly :) love it! And you totally should pack Yahtzee! We took games! We had a ton of visitors so we never got to play them, but there can be a lot of down time with a sleeping baby so not a terrible idea :) getting so close! So excited for you to hold that baby in your arms! It's the best! Totally pack Yahtzee! :) I love your belly pic too. Very cute! 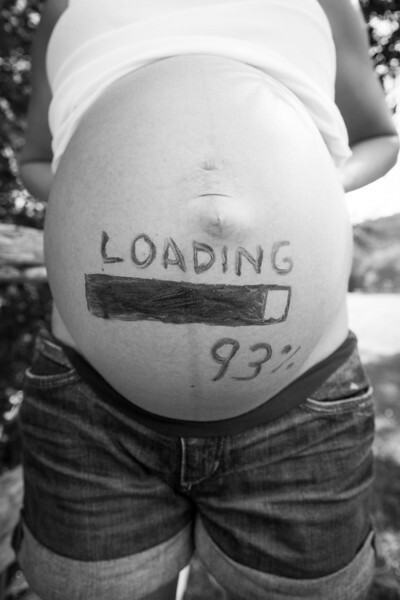 I love seeing a humorous pick, since you typically see all the sweet and serious maternity pics! So big and beautiful! I was at a blogger meet up a couple weeks ago and somebody brought up your adorable pregnancy and we were all talking about how amazing you look and how much we love your big belly with your super tiny body. You're the cutest Ruthie! 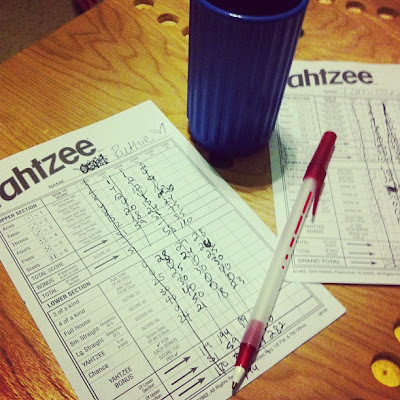 yahtzee in your bag is pure brilliance! Oh my goodness that picture us the most hilarious, yet adorable thing ever! You are so close!! EEK! 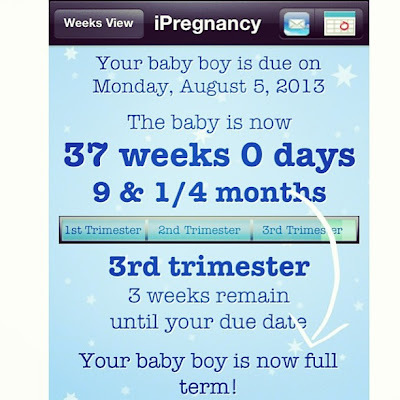 Any day now!!! So so so exciting! :D Can't wait to see that precious boy's face. Pack Yahtzee for sure! You will probably have some down time at the hospital and will want the distraction! And I love that loading pic, so funny. I can't wait to hear the good news that Baby Hart is here! Yay for you and full term!!! 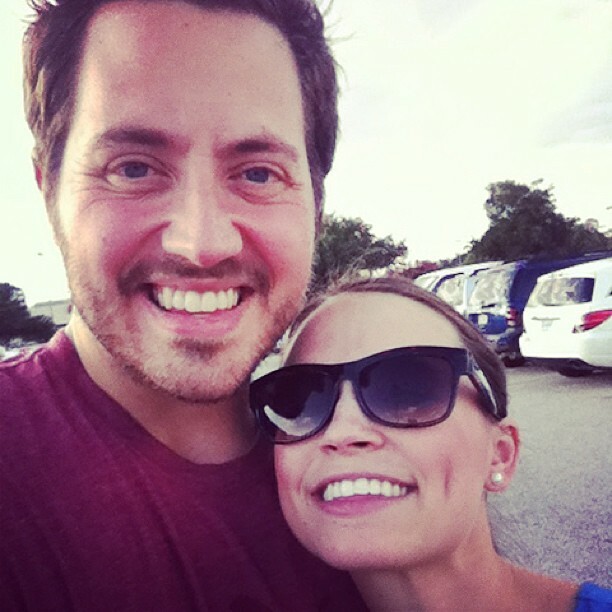 Praying for you sweet friend. Oh my gosh!! That belly picture is the cutest!! SO cute! My two year old was reading with me and he said "BELLY!" and giggled. He was born at 37 weeks due to high blood pressure. Best wishes, cook baby cook! That belly picture is seriously adorable! We saw The Heat last weekend and it was hilarious! I love Yahtzee by the way. I haven't played it in forever! Heck no...we did but we didn't play any games...probably because our birth story had a a few speed bumps and didn't go as planned (do they ever)? Cute belly pic!!! LOVE the loading pic!! Is that a little foot sticking out too! I am so excited for you, your little man is going to be here so soon!!! Xo!